Big Pharma- “The large pharmaceutical companies’ now have a profound influence on your pet, but more importantly, on your vet. I speak from experience, after being a practicing veterinarian for nearly 20 years, I have seen the ‘drugification’ of veterinary medicine. It all comes down to profits, and massive ones at that, leading to the large drug companies yielding more and more influence on veterinarians, veterinary students, pet owners, and ultimately your choices as a consumer. Big Pharma is king. And they are affecting all of us. Most veterinarians and most pet owners are of the belief that ‘there is a pill for every ill’ – It is now unusual to ever leave your veterinarian without a prescription for something. And usually it is some, expensive, patented drug. It could be a vaccine injection. Drugs to keep away fleas, ticks and heartworm. It might be the new pharmaceutical for motion sickness. It may be the newest drug to treat separation anxiety in dogs. It could be one of the many antibiotics, but it may be prescribed for a viral infection, in which it wouldn’t be affective anyway. The overuse and in some cases abuse of conventional medication is harming our pets- I suspect chronic use of a fairly potent anti-inflammatory medication played a role in my last dog Hoochie dying of cancer. David Krempa wrote a very enlightening article for Morningstar, an investment company, suggesting that the animal health industry is overlooked, and undervalued by investors. The author goes on to claim that animal health is a better, and steadier source of revenue. Animal drugs take far less time, and cost far less, to develop and get to market. The approval for new animal drugs is far easier, as opposed to getting drugs approved for people. He uses the example of Sanofi, who’s research and development on animal drugs was 6% of their research costs, while animal drugs generated 14% of their revenue. Big Pharma is massive; these are multibillion dollar corporations who have been able to infiltrate every aspect of veterinary medicine. While I was a veterinary student, they helped sponsor some of our events. Veterinary schools have declining budgets and if large corporations can help them, they are willing to accept that help. It was not uncommon to see a new glossy brochure touting the effects of a new drug which was going to be so much better in treating a specific dog or cat disease. The veterinary instructors were also affected. I recall a specific professor espousing the merits of brand drugs as opposed to the less expensive generic alternatives. Alternative options were never discussed; we were told to only prescribe those treatments that had scientific basis and backing; specifically using pharmaceuticals to treat disease. That is now how the majority of dogs and cats in North America are now treated. As a new graduate in veterinary medicine my very first exposure to so-called continuing education came from drug representatives. The drug rep showed me some of the new drugs to be released to better help me treat sick pets, and at the same time make the practice more profitable. 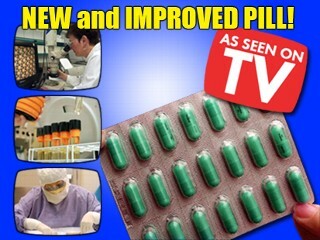 Most pharmaceuticals and veterinary practice are marked up and sold at 100% profit. Selling drugs is not only good business for pharmaceutical companies; it’s also good business for veterinary practices. Unfortunately, it’s not always in the best interest of your pet. Veterinary conferences are very expensive to run, and one of the way conference organizers offset the costs, and make it reasonably priced for veterinarians, is to have large pharmaceutical companies sponsor them. Specific drugs that these large drug companies sell, are featured prominently in and in conference handouts. There are big glossy brochures touting the wondrous effects of the new drugs, with selected scientific research to back their evidence. At the conference is not unusual to see large posters featuring pharmaceutical companies or some of the specific drugs they are selling or promoting. The question of unbiased information is also needs to be brought up. Veterinary presenters claim to be unbiased and unaffected by the large drug companies, but if a large pharmaceutical company is sponsoring a conference, can you not see how it is difficult to present information on how a new pharmaceutical is not effective. Then there are the ads, or the marketing directly to pet owners. Pfizer ran an extensive direct marketing campaign to promote a new non steroidal anti-inflammatory at the time called Rimadyl. It went on to become one of the most prescribed drugs in veterinary medicine. At the time the package insert stated that there were no serious side effects. Three years after the release of the drug, Rimadyl accounted for 33% of all adverse reported drug side effects in dogs and cats. Big Pharma has impacted every aspect of veterinary medicine; veterinary students, veterinary instructors, practicing veterinarians, veterinary researchers, and pet owners themselves. It’s a multibillion dollar industry that in some instances really has taken over veterinary medicine. You are so correct! But we shouldn’t be surprised as Big Pharma is just following through with what they’ve already proven profitable with humans. Also, I’ve found the pricing at vet offices is as unconscionable as Big Pharma. Having used two different vets in my city, one charges double for the same prescriptions that the other vet charges. Even the office visits are so much more at the first office. People need to do their due diligence and become informed. We can’t keep blaming others! Thanks for helping us become knowledgeable!! Great article, I agree with it 100%! Most of the vets I know are big pill pushers. Thank you for this information dr jones, we should know .they wont to control all meds,for humans and pets.more money control. Excellent article, and so very true. Vets in my area push pills and vaccines to the point that makes me ill. I advise all my clients to use common sense when it comes to the health of their pet. 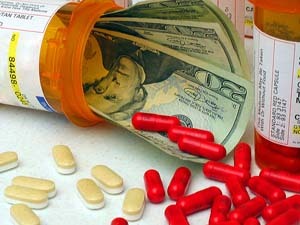 Big Pharma could care less if your pet lives or dies as long as they make the all mighty dollar off of you. Knowledge is power and I encourage every pet owner I know to do the research before jumping in and going along with what ever their vet tells them to do. Totally agree. My Great Dane will be 11 years old on March 13. I strongly feel that staying away from vets by providing the best food I can buy, using essential oils and natural methods to treat whatever ailments she has, is the reason she is doing so well. She was diagnosed with cancer 3 years ago, although she has tumors I treat them with essential oils and she runs and plays like a puppy, gets up a little slower some days, but then so do I :-). Stay away from RX and you and your beloved pets will be much healthier. 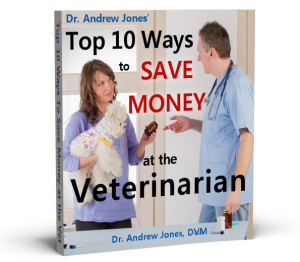 Dr. Jones, In reference to the conferences is it not possible for you to go back into vet practice as a natural vet or do they have the same shelter overhead as the traditional drug pusher vets? Just thought I’d ask. I don’t know much about it. Those pharma’s don’t care about our fellow animals and only about their revenues. They push and shove those deadly vaccines, knowing that indoor cats don’t need rabies shots, for example. Shame on them. And thanks to the wonderful doctors like Andrew. Or rather, I should say, “healer” because there are doctors that aren’t necesarily healers-and there’s a huge difference. I agree, I dont want to give my dogs all that stuff but what do you give them to prevent heartworms? What about vaccine should they get every year?